A 2015 decision from Thunder Bay – not previously reported – has recently come to our attention. To my knowledge, it’s the only Ontario Court decision (so far) dealing with smoking rules and grandfathering of smokers. Marijuana will soon be legal (for persons over a certain age). Growing marijuana at home, for one’s own consumption and limited to a certain number of plants, will also be legal. What does this mean for condominiums? (I) In general, condominium occupants will be permitted to smoke marijuana only where people are permitted to “smoke” on the property. Pursuant to the Smoke-Free Ontario Act, smoking is not permitted in interior areas of the common elements, nor is smoking permitted in workplaces (for instance, workplaces of condominium superintendents). Smoking is also not permitted on outdoor patios of bars and restaurants (including bars and restaurants on condominium properties). However, medical marijuana users will normally have the right to smoke where smoking is otherwise prohibited, depending upon their specific needs (for marijuana) and their specific medical prescription. (II) In any case, second-hand smoke (whether from tobacco or marijuana) must be controlled. In most cases, the condominium corporation will need to investigate any problem involving unwanted migration of second-hand smoke (often with the assistance of an expert), in order to track down the cause of the migration, and to determine who is responsible to stop it. There are many possibilities (including sealing between units and/or the common elements; adjustments to air handling and/or exhaust systems; air purification or filtration; air pressure adjustments; etc.). In some cases, the corporation may have some obligations (to solve the problem). In some cases, the owner or smoker may have some obligations. And in some cases, they may both have obligations. And I stress: These issues also apply to medical marijuana. (III) I also recommend a Rule or a provision in the Declaration to deal with these issues (not only smoking and medical marijuana issues, but also control of second-hand smoke). In terms of growing marijuana on a condominium property, I again recommend a Rule or a provision in the Declaration. (I) I think that growing marijuana on the common elements (including exclusive-use yard areas) could generally be prohibited (in the Declaration or Rules) except where the Board consents. (II) It might also be possible to prohibit growing of marijuana in the units (again in the Declaration or Rules) – particularly if this could cause harm to the building (for instance, as a result of excessive humidity or heat) or if this could mean excessive consumption of water or electricity. On the other hand, since the number of marijuana plants will be limited by federal law, it may be difficult to distinguish between growing marijuana and growing some other type of plant (in terms of potential harm or excessive consumption of utilities). (III) In order to minimize arguments about the reasonableness of a restriction, a provision in the Declaration may be preferable. (IV) In summary, in my view the best approach is to deal with these issues fully and carefully, either in the Declaration (an original provision in the Declaration or an amendment to the Declaration) or in the Rules. (V) Depending upon the specific circumstances, a medical marijuana user might still have the right to grow marijuana (pursuant to the Human Rights Code), notwithstanding any contrary Rule or provision in the Declaration. But I think that the grower could still be held responsible for any resulting harm or expense to the condominium corporation and/or other owners. Stay tuned to Condo Law News for more blogs about updates related to condominiums and marijuana. The rights of smokers and non-smokers in condominiums continue to evolve across Canada. The Smoke-Free Ontario Act prohibits smoking in the interior areas of the common elements of all condominiums, and also prohibits smoking on outdoor patios of bars and restaurants (including such outdoor patios on condominium property). Condominium corporations can also pass Rules to prohibit smoking in other areas of the common elements. But what about prohibiting smoking in the units? As revealed by the debate at the most recent ACMO/CCI Toronto Condominium Conference, lawyers in Ontario disagree about the required procedures. Some lawyers feel that prohibiting smoking in the units requires a provision in the condominium’s Declaration. Others feel that this can be achieved by way of a Rule. In my view, a Rule is sufficient. From my perspective, this is precisely the sort of issue that can properly be regulated, in Ontario, by way of a Rule. I hasten to add, however, that we don’t yet have any Ontario court or tribunal decisions on point – so this is still a grey area. The other issue is: if a condominium passes a Rule or amends the Declaration to prohibit smoking in the units, are existing smokers grandfathered? Again, there is debate on the point; but we’ve previously felt that there should be reasonable grandfathering of existing smokers. What is “reasonable” may depend upon all of the history and the specific circumstances of the particular condominium, including the configuration of the units and common elements, the availability of “permitted smoking areas” on the common elements, difficulties preventing smoke transfer within the building(s), and other issues. But it now appears, based on a recent case from B.C., that there may be an argument that grandfathering is unnecessary, at least in some cases. In the case of The Owners, Strata Plan NW 1815 v. Aradi, the strata corporation passed a “no smoking” by-law; and the Court enforced the by-law against an existing smoker (who had acquired his unit when smoking in the units was permitted). So, the Court confirmed that there was no grandfathering of existing smokers. The smoker in that case has an outstanding claim to the B.C. Human Rights Tribunal, in which the smoker is claiming a right to smoke as an accommodation (for his addiction to smoking). The human rights claim is scheduled to be heard early in 2017 – so there will likely be more to this story. It is important to note that B.C. law (in relation to the passing of by-laws) is not identical to Ontario law (in relation to the passing of rules); so it’s possible that there may be a distinction between the laws in Ontario and B.C. with respect to this issue. 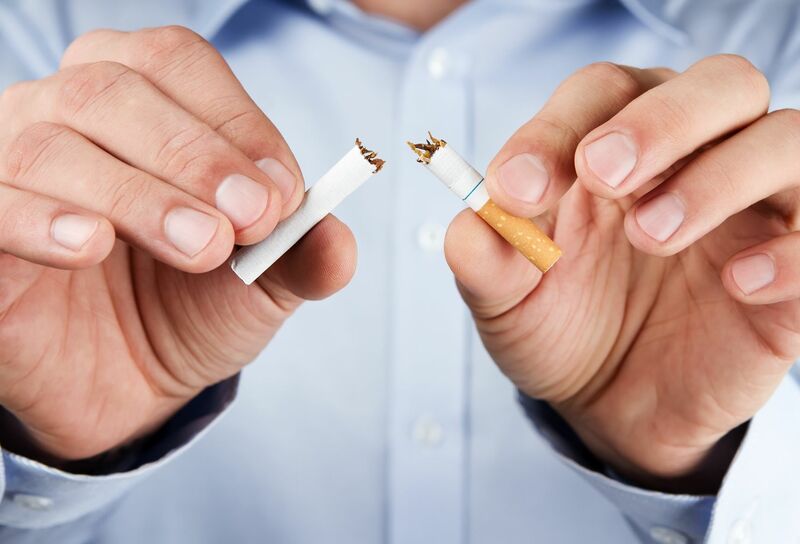 But the bottom line is as follows: In the future, if a condominium goes “smoke free”, depending upon all of the circumstances, it might not be necessary to grandfather existing smokers, and it may also be possible to consider different durations of grandfathering. But until we have some more decisions on point, we just don’t know. For more information about making your condominium “smoke free”, please contact us.